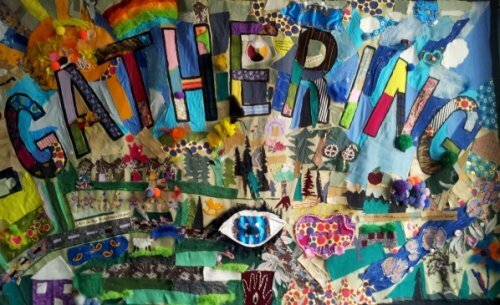 The Gathering is an inspiring annual opportunity for people interested in community development and community economic development, to connect, learn, and celebrate together. 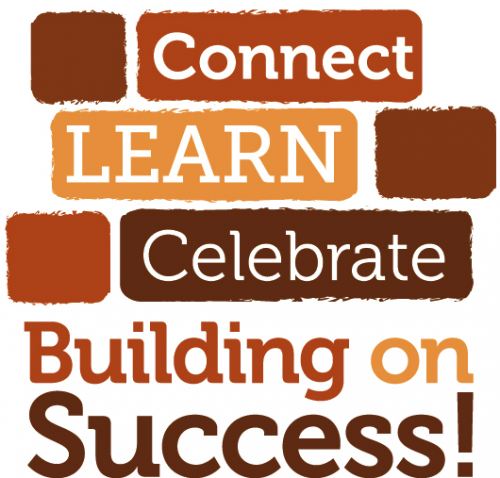 As we head into our second decade, let's reflect on how we know our work is successful, how we can use that knowledge to move us forward, and how we can do this together! The Manitoba CD/CED Gathering has something to offer everyone. 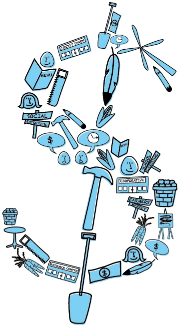 From co-ops to social enterprise, housing to food security, or new economy to international development, the Gathering has a workshop for your CED interests. Whether you want to strengthen your organization's capacity, or are just hoping to learn something new, the Gathering is the place to be. This year's diverse roster of workshops are being facilitated by leaders in the commununity economic development field. Take a sneak-peak at the workshop line-up by clicking the link below. 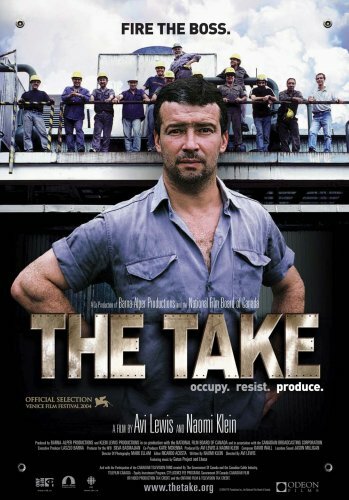 Menno Simons College | 520 Portage Ave.
Come kick-off the 2013 CD/CED Gathering with a film screening of Avi Lewis and Naomi Klein's award winning documentary The Take. Delivered in partnership with Menno Simons College, please join us to network with like-minded alumni of this institution, as well as enjoying a free evening of thought-provoking entertainment. 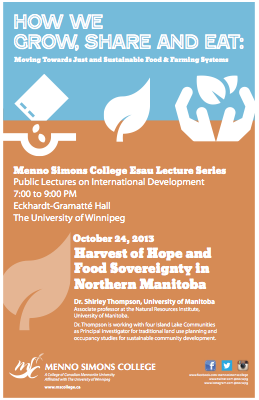 Dr. Shirley Thompson is an associate professor at the Natural Resources Institute, University of Manitoba. Dr. Thompson has a PhD in Adult Education and Community Development and for the last four years and is a board member of Food Secure Canada and the Association of Nonprofit and Social Economy Research. Dr. Thompson is working with four Island Lake communities as principal investigator for traditional land use planning and occupancy studies for sustainable community development. Charlene was was born and raised in Thompson. She is a proud northern Aboriginal woman and Thompsonite. Charlene has been the Director of Institutional Advancement at the University College of the North (UCN) since September 2010; previously she was the Executive Director of the Thompson Neighborhood Renewal Corporation and Director of Justice at Manitoba Keewatinowi Okimakanak. Charlene was elected as a City Councillor in 2006. Charlene has been Chair of the Thompson Urban Aboriginal Strategy since 2007 and in 2010 Charlene became the Co-Chair of the National Urban Aboriginal Strategy Caucus. Charlene will be speaking about The Thompson Aboriginal Accord. 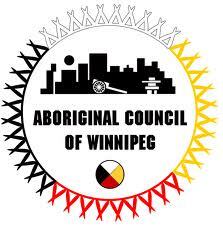 According to the City of Thompson, "The Accord is a ground-breaking document that recognizes the role of Aboriginal people in our history and affirms our Commitment to strengthening relationships with Aboriginal governments and peoples. The Thompson Aboriginal Accord is one of just two of its kind in Canada today. As a living document the Accord is not a single one-time event, but an ongoing responsibility adopted by signatories and partners who report the success of the commitment and future goals annually." We're excited to hear from this passionate, local change-maker! Part of the Gathering's success is owed to the local co-operatives and social enterprises that CCEDNet contracts to cater food, provide gifts for presenters, and offer childminding for participants. Click here for a complete list of Gathering contractors. 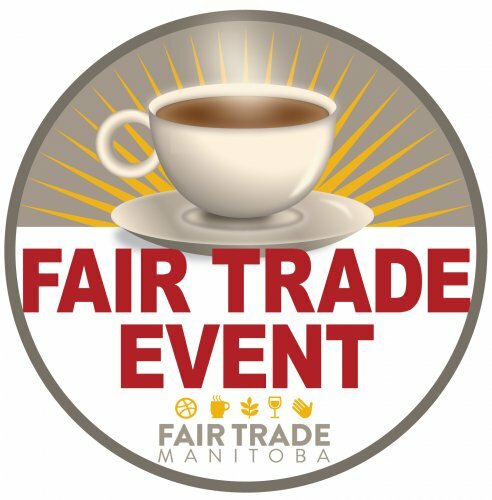 Fair Trade Manitoba officially recognizes the 2013 Manitoba CD/CED Gathering as a Fairtrade Event. To find out what that means, click here.